Be ready to board The Love Boat on Thursday, October 22nd, 7.30 p.m. for a brand new edition of the Halloween Reunion! The venue is... Le Bateau, in Ghent ! 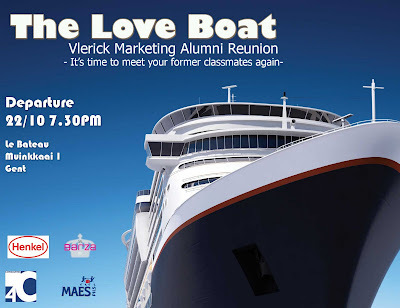 It's the perfect moment to catch up with your old friends and classmates and it is free of charge for all Vlerick Marketing Alumni.